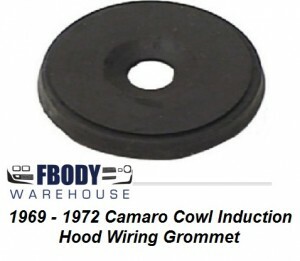 For use on 1969 Camaro models with cowl induction system. Specifically for use on 1969 Camaro with cowl induction. This rubber grommet with stamped spring steel insert keeps cowl induction wiring harness from chafing against hood.